Welcome to our final newsletter for the term. The past 10 weeks have been a very busy time for NTSDE. We have now had two Residential Programs, that last one being our Potential Completers Residential Program that took place in week 7. The students worked extremely hard during the week and many left at the end of the week feeling like they had achieved a great deal. The students were delighted with the new building and once again were made to feel very welcome by the staff and students at Darwin High School. During the Residential Program, we were very fortunate to have Mr Sean Kildare, General Manger INPEX Darwin and both Department of Education's Deputy Chief Executives, Ms Marion Guppy and Ms Catherine Weber, who visited some classes to discuss the students' studies and future career aspirations. You can learn more about the week's activities further on in this edition of the newsletter. Our students continued to achieve success in a number of competitions. 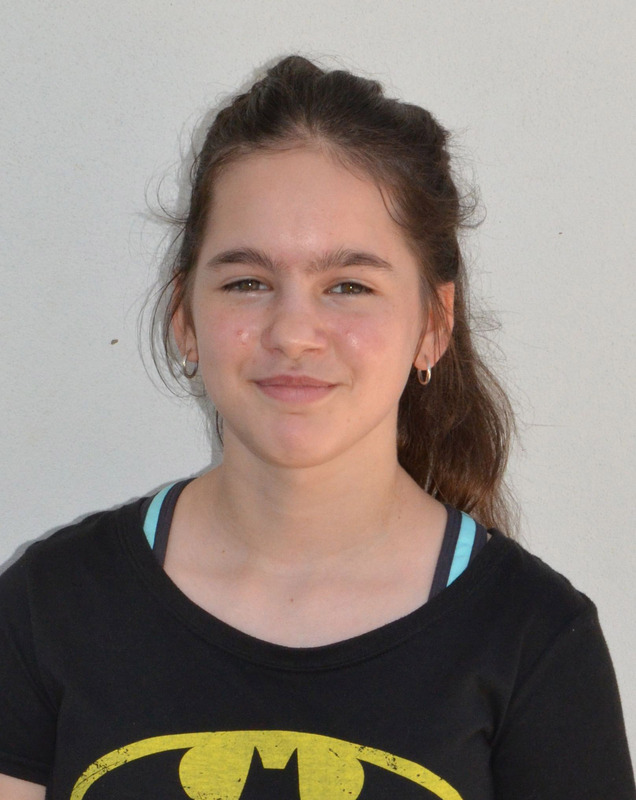 In the Australian Geography Competition, Portia Gallagher achieved a high distinction and a number of other students achieved credits. Olivia Tester has been shortlisted for the 2017 Chief Ministers Anzac Sprit Study tour with final judging to take place shortly. It is terrific to see our students doing so well in both national and state based competitions. The one week break for students will hopefully enable those who are perhaps a little behind, to catch up and those who are on track, to catch their breath before the final term of teaching, learning and assessment begins. I hope both students and teachers enjoy the week break and I look forward to seeing the great results of the students' efforts as we commence the downhill run to the end of the school year in Term 4. Congratulations to Portia Gallagher who received a High Distinction in the 2016 Australian Geography Competition. 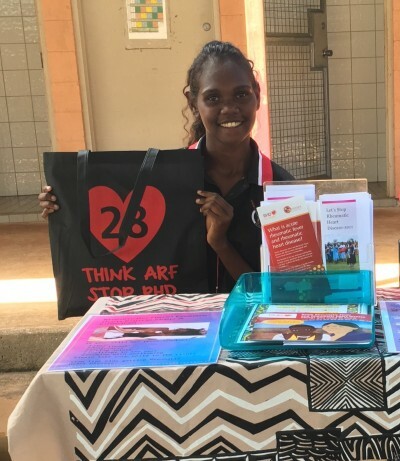 Tiwi Islander and year 12 student Trish Tipiloura has been raising awareness about rheumatic heart disease (RHD) on the Tiwi Islands. "Whilst RHD is a preventable disease, the rate of RHD on the Tiwi Islands is still very high," says Trish. Inspired by members of her family and community who have been affected by the disease Trish, a student at Xavier Catholic College, developed a 'RHD Action Plan', with support from Tiwi Islands Health Services, RHD Australia, and the Northern Territory RHD Control Program. "In the Wurrumiyanga community in which I live on the Tiwi Islands, I have noticed that young people have had heart operations. This includes my nephew and some of my other family members and students in my school," says Trish. "This affects my family and the Tiwi community because our young kids can't exercise, they have to be on lots of medication, have operations and people are dying very young causing lots of community sorry business." Trish began by surveying people in the Tiwi community, interviewing health professionals and recording personal observations as well as conducting online research. "I wanted to find out what causes RHD and how it can be prevented because I want my family and all other Tiwi people to live healthier, longer and happier lives." 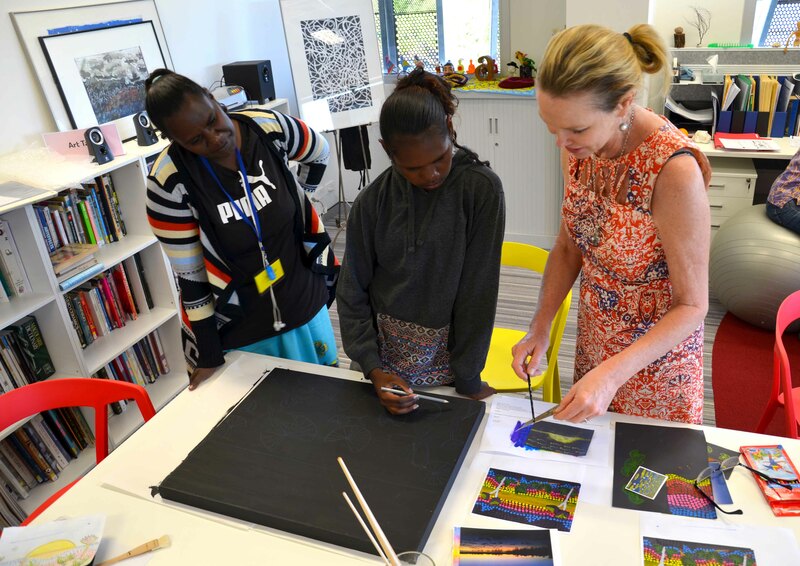 Another highly successful Completers Residential was conducted at our new Bullocky Point campus from 5 to 9 September with 25 keen participants travelling in from home locations including Yuendumu, Nutwood Downs Station, Ngukurr, Lakefield Station, Jabiru, Dundee, Alyangula and Wurrumiyanga on the Tiwi Islands. Students arrived ready to work and were kept fully engaged from homeroom through to last lesson, plus extra study session on Monday and Wednesday. Students commented most positively on how much work was achieved and how much better prepared they are to complete their remaining assessment tasks and examination preparations. Teacher were very happy with the willingness of all students to knuckle down as the business end of Year 12 approaches. Highlights of the week were the introduction of the new Completers Residential Moodle site which is now jammed packed full of photos of all activities undertaken, plus plenty that students posted themselves. Time was found to look at plans for the first NTSDE Graduation Ceremony, the design of our first Year 12 Jersey, fundraising for CareFlight Bears and idea shares on exam and study habits leading to the end of the year. Fortunately there was a bit of time found for a couple of trips to our shopping centres for non-Darwin visitors, a night out at the markets and fun dinner locations. All students felt our new school premises were highly conducive to working with their teachers, that with only the Year 12 students in location they could concentrate more on their work and teachers could give them their undivided attention and that being on a shared campus with other schools, particularly other Year 12s, gave them a positive vibe. A big congratulations must go to all students for their efforts during residential, their work ethic and behaviour were exemplary, as commented on by staff from our shared campus schools and their outcomes rewarding. We look forward to seeing everyone back in Darwin on 25 November at the graduation. Territory high and primary school students are invited to make submissions to a contest aimed at promoting the functions and values of Crime Stoppers. 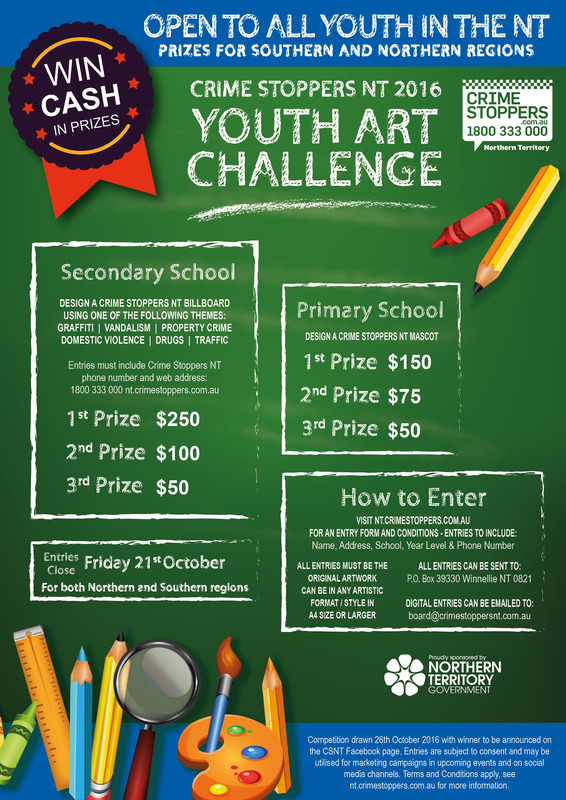 The Crime Stoppers NT 2016 Youth Art Challenge requires senior students to submit designs for a Crime Stoppers advertising billboard. The proposals will focus on one of six themes: graffiti, vandalism, property crime, domestic violence, drugs or traffic, and include the Crime Stoppers phone number and internet address. Competition entries close at 5pm Friday 21 October 2016. The hunt for the Territory’s favourite teacher has begun. The Apple For a Teacher contest, run by radio broadcaster HOT100, invites students to nominate their special educator. Prizes will be awarded to the winning teacher, class, and school. Teachers can be nominated from 16 September to 29 September. Voting commences on 30 September and ends on 14 October. Congratulations to Olivia Tester for her student entry for the 2017 Chief Minister's Anzac Spirit Study Tour. She has been shortlisted to progress to the final stage of the selection process, which is an interview with the judging panel. Click here to access Issue 3 - COGSO Newsletter 2016.